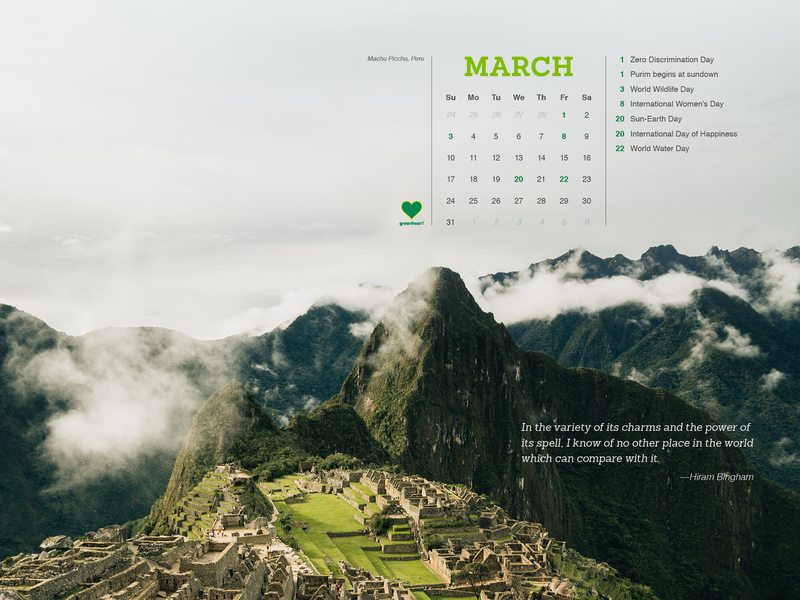 March is upon us which means spring is right around the corner (at least for us here in the Northern Hemisphere!) What do you love most about spring? 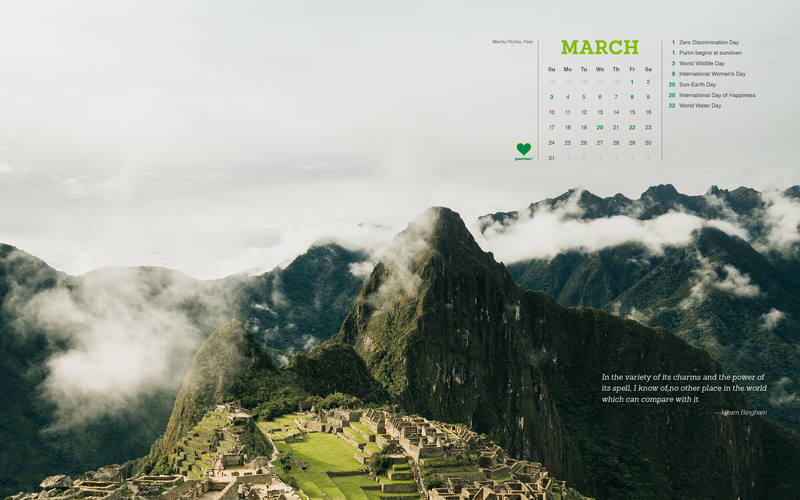 At Greenheart we love our new March calendar! What calendar are we talking about? Each month, Greenheart shares a FREE Greenheart desktop calendar featuring a beautiful location from around the world AND highlight important dates you need to know as a global leader. Check out our March edition below with instructions on how to download. 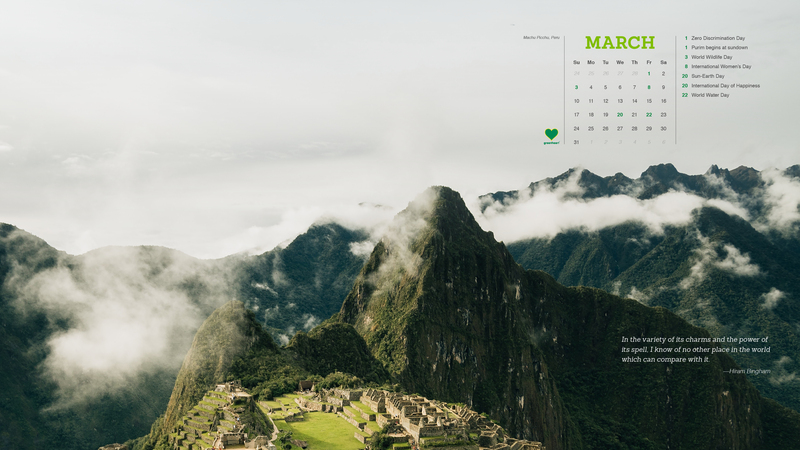 Also, be sure to follow our blog to download our April calendar.